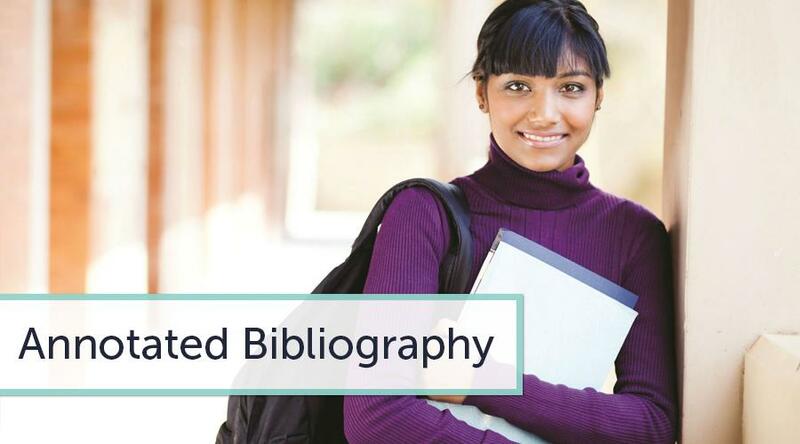 Writing an annotated bibliography can be a tedious task, but only if you do not know how to make an annotated bibliography. You should remember that it is a perfect opportunity for you to prepare a list of literature sources, which can be used when writing a dissertation, a coursework, a thesis, a research paper, or any other academic assignment. In your annotated bibliography, be sure to include the fullest information about your source. However, be as brief as you can. Your task is to be accurate and concise. Do not distort the meaning and purpose of the sources you are describing. Do not forget to include an accurate citation with the date and place of publication. Note the author's credentials to see if the source you have selected for your bibliography is credible. Also, see if your sources are recent enough to provide relevant information. You must write your annotated bibliography in a formal academic language. Avoid errors. Be scholarly and professional. Follow correct punctuation and syntax. Use the citation style requested by your instructor. Be consistent in your formatting choices. Now you need to see if you have the skills and knowledge needed to produce an excellent annotated bibliography. Be ready to engage in a thorough analysis of your sources. Use several libraries to retrieve the most relevant sources. List the authors, titles, and publication dates for every source. Include the database or library, from which you have retrieved your sources. Read through your sources. Note the most relevant pieces and be prepared to annotate them. Consider the topic of the future thesis, dissertation, or research paper. Make sure that the sources you provide in your annotated bibliography fit the topic and theme of your work. Keep your sources in an organized and logical manner, so that you can use them while writing your thesis or coursework. Develop an alphabetized list of the sources you have found. Follow the format and style of an annotated bibliography. To follow the annotated bibliography format, make sure that all entries have been arranged in alphabetical order. Use the citation style requested by your professor. It can be anything, from APA to Oxford. Create a properly cited entry, followed by a short paragraph with the summary of the article. It is actually an annotation. You may also want to write a sentence of two analyzing the authority and reliability of your chosen article. You may advise on how this writing an annotated bibliography will serve the purpose of your research. No matter what you write and what citation style you use, be thorough and systematic in your analysis. Keep your notes with you to use them later in your dissertation or thesis.